Distribution and habitat: Juncus effusus is cosmopolitan rush species that occurs in most temperate world regions, including North America, Europe and Asia; moreover, the plant also can be found in many montane-tropical regions. Its habitats are diverse, but often feature moist areas at forest margins, wet grasslands, wetland margins, lake shores, river banks, and in fen-meadows. Description: Juncus effusus is a clump-forming perennial that spreads by both short rhizomes and seed. The clumping plant manifests stout but supple stems that may reach 1.5m (5 feet) in height. The stems are smooth cylinders with light pith filling. The lower leaves are reduced to a brown sheath at the bottom of the stem. The yellowish inflorescence appears to emerge from one side of the stem about 20cm (8 inch) from the top. In fact the stem ends there; the top part is the bract, that continues with only a slight colour-band marking it from the stem. Juncus effusus has 30 to 40 ridges on the stem. Seed production is extremely high with each shoot capable of producing 8,500 seeds per year. 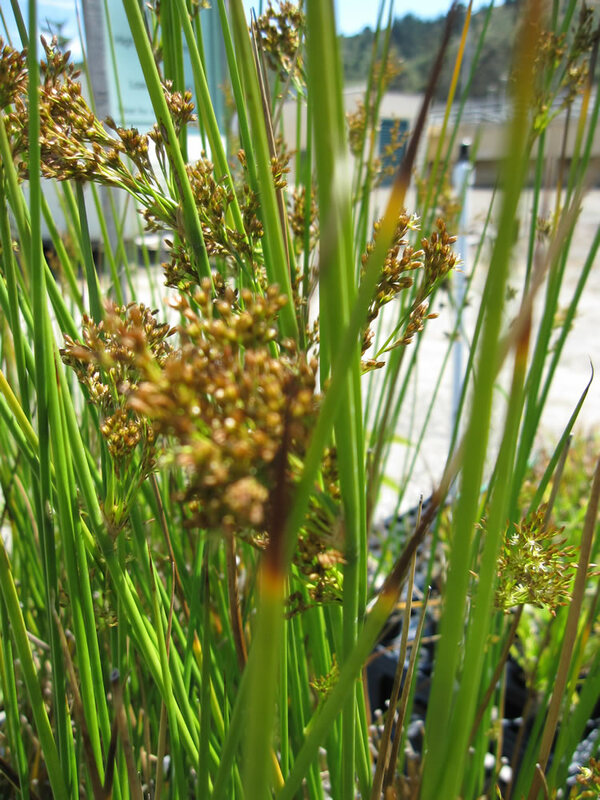 Gardening: Juncus effusus are maintained by the removal of old stems in spring. If this plant dies down in the winter (in cold climate conditions), room for new growth is made by pulling up and discarding the old, dead stems. Leaving the old stems will not harm the new growth, but it can become messy. Though initially slow to establish, Juncus effusus has tough, aggressive underground roots that will help the plant spread over time. The plant growth can be controlled by growing it in a shallow container without drainage holes into the mud, leaving a few inches of water above the container or sunk the container into a pond. Position: Though tolerant of a little shade, Juncus effusus is a sun-loving plant that will produce its best growth in a location with full sun. Soil: Juncus effusus thrives in acidic, wet soils that have poor drainage. Irrigation: Plants require permanent water, ideally between 5 and 10cm (2-4 inch) deep, it can be grown near water with pebbles and rocks or with continual irrigation. It is a tough plant that can withstand brief periods of drought, but it will become brown and unsightly if left without water. Fertilisation: An application of diluted liquid fertiliser to half strength is recommended at the time of transplanting and monthly throughout the growing season. Juncus effusus cv. Spiralis (Corkscrew Rush, Spiral Rush) is perennial wetland plant. This plants grow in both a horizontal and vertical direction. Its bright-green, cylindrical stems, which are hollow, form tight spirals. As the stems lengthen, the spirals uncoil somewhat and stretch in every direction, forming a captivating untamed mass. Juncus effusus cv. Spiralis will reach a height of 0.45m (1.5 feet) and a spread of 0.6m (2 feet) after two to five years. Plants may flower in summer, but the inflorescences, range from yellow-green to brown and are small and nonshowy. It is a popular ornamental water plant due to its tortuous spiral like foliage. Ideal for bog edges or standing water up to 10cm (4 inch) deep, this grassy perennial features clumps of cylindrical stems is suited to container cultivation and can be used as a houseplant. Houseplant care: Indoors, Juncus effusus cv. Spiralis is planted in a water-retentive potting medium in containers with no drainage holes. Old stems, which turn brown, may be snipped with scissors. In spring, the wild stems can be tamed with trimming as desired; this will also make room for new growth. Light: As long as the roots are able to sit in shallow water, Juncus effusus cv. Spiralis can tolerate full sun, but partial shade is ideal for this plant when it is displayed indoors. Temperature: Outdoors, this plant is a rather hardy selection and, as a houseplant, can tolerate a range of temperatures, but 16 to 24°C (65-75°F) is ideal. 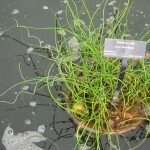 Although Juncus effusus cv. Spiralis loves a moist environment, moisture in the soil is much more important than moisture in the air. Spray misting this plant is not required. Watering: Because this is a marginal aquatic plant, soil should be kept moist at all times. To ensure constantly moist soil, pots that have drainage may be partially submerged into another container filled with water, replicating the bog-like conditions in which this plant naturally grows. Feeding: Apply a balanced liquid fertiliser at half strength once a month during the growing season. Potting and repotting: Healthy plants will expand, so annual division and repotting is often necessary. Repot the new divisions in containers without drainage using a neutral to acidic potting soil. 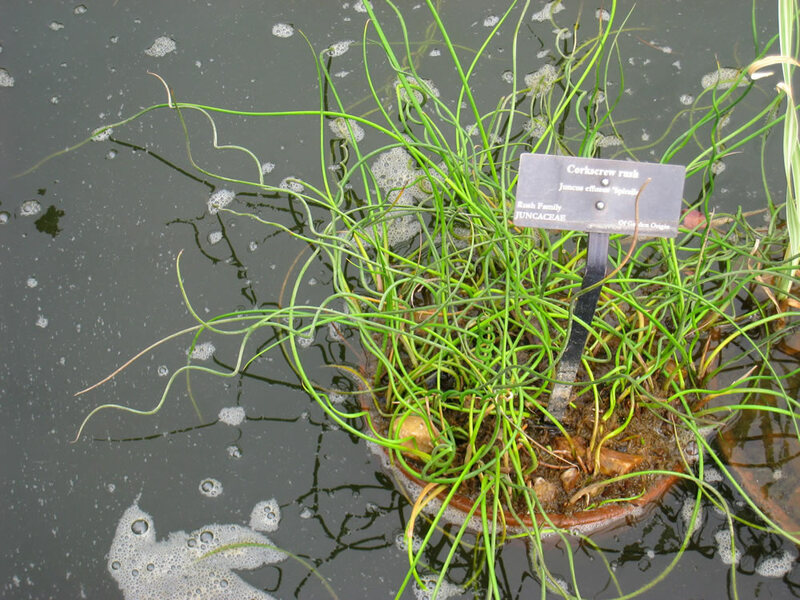 Problems: Juncus effusus cv. Spiralis is typically unaffected by pests; instead, the most common problem associated with this houseplant is improper watering and soil conditions. These plants prefer excessively moist soil; what would lead to root rot in most houseplants are conditions under which this plant is kept. Propagation: Propagation is by division the rootball of plants in mid to late spring. Lift and divide the clumps using a sharp knife to sever tough rootstocks. Replant (repot) the new plants immediately. Plants will also naturalize by self-seeding. Notes: Both, Juncus effusus and Juncus effusus cv. Spiralis can self seed and become unruly weed in some areas. It is often planted in submerged containers to prevent it from invading and overtaking the landscape. 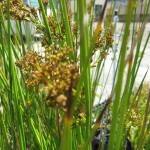 Uses: Juncus effusus and Juncus effusus cv. Spiralis can be grown at the edge of a pond or water garden, in boggy areas, among wet pebbles or rocks or in low deep standing water. They make a good water garden accent. Add a certain amount of authenticity to transitional waterside areas. They are effective in containers and Juncus effusus cv. Spiralis become a popular indoor plant. 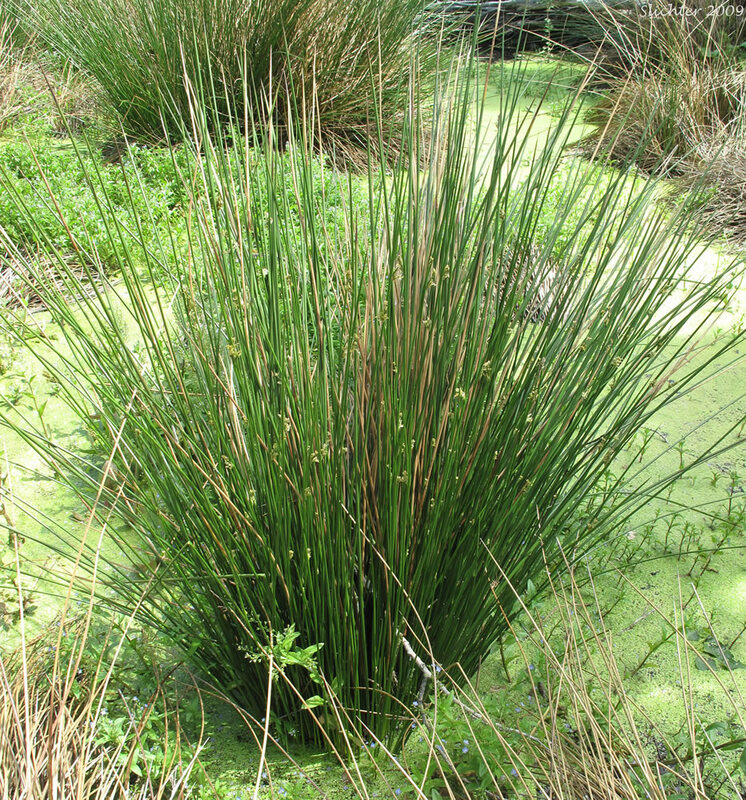 Juncus species can be grown on the edge of waterbodies to help control erosion. Juncus effusus and Juncus effusus cv. Spiralis stems are used in floral arrangements.